The purchase of products from the website is governed by these terms and conditions. Please read them carefully before using the site - they are important to both you and us. We hope they are simple to understand. By accessing the site, you agree to be bound by these terms and conditions. 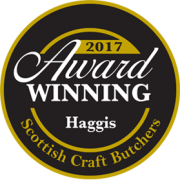 While anyone in the world may visit this site, we can only deliver to only denominated address in UK mainland only. 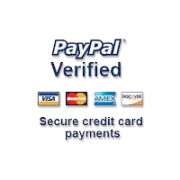 We accept payment from credit and debit cards useable in the UK, as well as cheques. We accept no responsibility for the websites or any other information, practices or products of other parties linked to this web site. 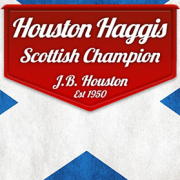 The products supplied from this web site are supplied by J.B Houston registered in Scotland (Company no XXXX). The registered address is Greenbrae Loaning, Dumfries DG1 3DQ. Orders are not accepted from persons under the age of 18 years old. By placing an order you make a representation that you are over such an age. Where you place an order and are under that age you are in breach of contract and may otherwise breach the law. The holder of the credit card or debit card which you use will be fully liable for all sums as charged. It is also possible to order by cheque. We will do our best to fulfill all orders but in exceptional cases, such as where supplies are unobtainable or where there have been errors in prices, we may have to decline an order, in which case we will advise you as soon as possible and seek your instructions. You card will be debited as soon as payment is accepted. 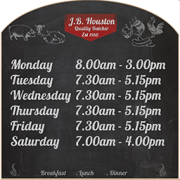 www.houston.co.uk may collect and process information about you to better understand your needs and to keep you up to date with developments at J.B. Houston. 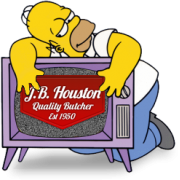 All rights including without limitation copyright, design and trademark rights in this website are owned by J.B.Houston. We reserve the right to change, modify, substitute or remove without notice any information on this site from time to time. Prices, goods and availability of goods are subject to change at any time, especially considering the perishable nature of all of our products. To the extent permitted by the law, jbhouston.co.uk shall not be liable for direct, indirect or consequential loss or damage arising from our services or any products sold from or referred to on this site. Neither you nor us will be liable for any delay or failure to perform our respective obligations under this contract due to any cause beyond our reasonable control including without limitation any act of God, failure, flooding, fire, strike, lock out, trade dispute, traffic accident, traffic congestion, any act or omission of any government or regulatory authority. These terms and conditions and all disclaimers and other material on our website shall be governed by and construed in accordance with Scottish law and any disputes shall be referred to the exclusive jurisdiction of the Scottish courts to which both parties submit. As our products are supplied fresh and primarily produced ‘to order’, we regret that once an order is placed, it is not possible to cancel it and refunds are at the discretion of the management. In the unlikely event of a product being unsatisfactory, please contact us immediately. Do not return goods without first speaking to a customer services advisor.